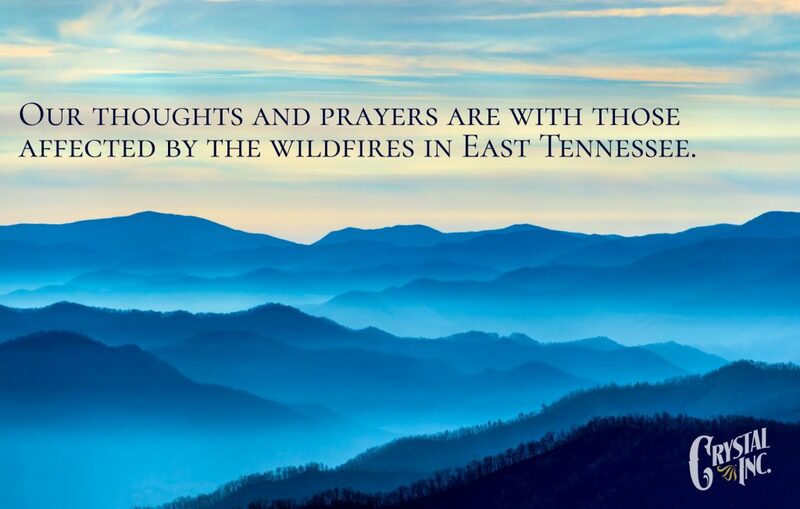 Pray for Sevier County | Crystal Inc.
Posted on December 1, 2016 by Crystal Inc.
A terrible tragedy has occurred in our beautiful Smokey Mountains. Please pray for Gatlinburg and Sevier County. This entry was posted in General by Crystal Inc.. Bookmark the permalink.